Americans have started thinking seriously about how to die. The passage of the End of Life Option Act capped a tumultuous process that began more than 20 years ago, when Californians roundly rejected an aid-in-dying ballot initiative (the first of several efforts), and accelerated only recently alongside shifting currents in the broader culture. New books such as Atul Gawande’s Being Mortal have been raising vital questions about personal agency, the culture of modern healthcare, and the end of life. Award-winning documentaries like How To Die in Oregon have drawn attention to the real-life responses to death-with-dignity legislation. 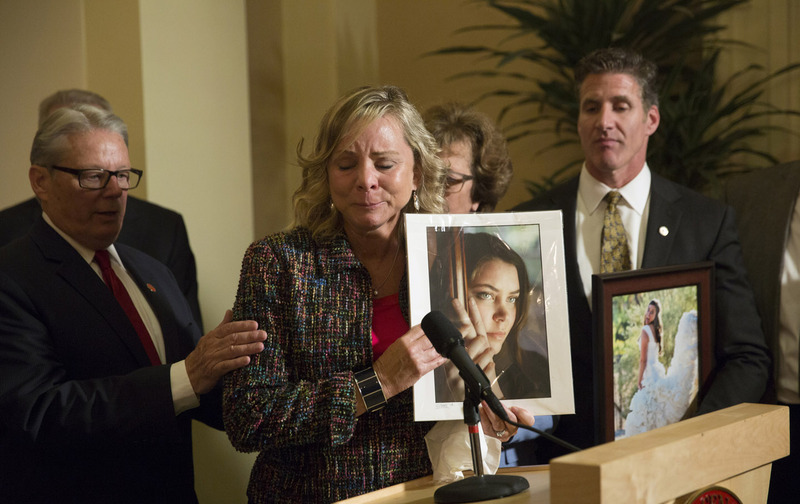 And recent cases like that of Brittany Maynard, the 29-year-old with a brain tumor who chose to move to a state where aid in dying is legal, have fascinated the media. Maynard famously relocated from California to Oregon so that she could die a more peaceful, dignified death than the one fated by her cancer. Catholic hospitals are denying aid in dying to patients even in those states where such services have been legalized. Ann Neumann, author of the forthcoming The Good Death: An Exploration of Dying in America, attributes the new openness to discussions about death and dying to a mix of demographic, cultural and even medical shifts. Americans are living longer, she told The Nation, but many of those extra years are proving to be a series of long, slow and disabling medical problems. “Independent, control-focused baby boomers are taking care of their elderly parents and beginning to worry about what will happen in their own end years,” she said. Catholic hospitals have long taken the position that they will not provide medical services that contradict Catholic religious principles. More than that, they will frequently not permit their doctors and other providers—many of whom are not Catholic—to perform such services. For decades, they have exercised this right in the area of reproductive health, where they refuse to provide many services, mostly to women, which are perfectly legal. Last week, the ACLU filed a suit against a Catholic hospital system, Trinity Health Corporation, charging it with failing to provide women with pregnancy complications with emergency abortions as required by federal law. As with the beginning of life, so it will be with the end of life. In the aftermath of Oregon’s Death with Dignity law, which went into effect in 1997, it has become clear that Catholic hospitals will deny aid in dying to patients even in those states where such services have been legalized. In 2014, a patient in a hospice in Washington State made repeated requests for assistance in ending his life. His condition, brain cancer, was terminal and had the potential to become excruciatingly painful. But his physician and the other medical professionals charged with his care declined to provide him with information about aid in dying or referrals to other places that might be able to help him. Eventually, he decided to solve the situation on his own. He climbed into a bathtub and shot himself with a gun. As a resident of Washington, which had passed a Death With Dignity Act six years earlier, the patient was legally entitled to receive the information and assistance he desperately wanted. He had a right to seek medical help to end his life. His mistake, however, was to have found himself in a hospice that is affiliated with Providence Health & Services, a large Catholic healthcare network. The medical professionals in this patient’s case appear to have believed that they would be fired if they offered him referrals. We know of this case only because a hospice nurse found the incident so upsetting that the nurse filed a complaint with Washington’s Department of Health. The health department found no evidence of medical wrongdoing. The tragedy, however, does provide evidence of the kind of suffering that results from the complexity of an American healthcare system in which the religious orientation of large healthcare corporations may have more influence over the care of individuals than the laws passed by their duly elected representatives. Some medical professionals at Catholic institutions do point to “workarounds,” in which they are able to refer patients to other organizations or individuals that provide such services. Others, who are part of institutions whose boards enforce a stricter interpretation of the directives, say they are not even allowed to do that much. Those patients who are aware of their medical options are of course “free” to seek other healthcare providers, just as doctors are presumably able to find jobs at non-Catholic institutions. But the growing—and in some places dominant—position of Catholic hospitals in the US healthcare system leaves many patients and doctors with few realistic options. According to a 2013 report by MergerWatch, between 2001 and 2011, at a time when other types of nonprofit hospitals have been disappearing, the number of Catholic-sponsored hospitals grew by 16 percent; only for-profit hospitals have fared better. Catholic hospitals now account for 1 in 9 hospital beds around the country, with much higher concentrations in some states, including Washington State, where they account for nearly one of every two hospital beds. Death-with-dignity acts allow physicians to prescribe lethal doses of medication, so that patients may self-administer drugs that hasten their end of life. Each patient must meet multiple criteria: He or she must be an adult resident of that state and have been diagnosed with an incurable, irreversible, terminal disease that will lead to death within six months. A second, consulting physician is required to confirm eligibility. A patient must undergo a psychological evaluation if either the attending or consulting physician suspects the patient’s judgment might be impaired by mental illness. Patients must ask for the medication a total of three times—twice verbally, and once in writing. To ensure terminally ill people aren’t making these decisions in haste, there is a mandatory 15-day waiting period between the first and second verbal requests. For patients in such circumstances, the process of obtaining referrals can be arduous. Struggling with exhaustion, restricted mobility, nausea, overwhelming pain, and other symptoms of terminal illness, many simply give up—or die while trying. Catholic hospitals account for 1 in 9 hospital beds around the country, and nearly one in two hospital beds in Washington State. Dr. Frances DeRook, a Washington State cardiologist who recently completed a fellowship in Palliative Medicine at the University of Washington in Seattle, spent a portion of her fellowship year studying aid-in-dying legislation. She and Dr. Kerner presented an abstract on the topic to the American Academy of Hospice and Palliative Medicine in February, raising awareness of the issue in the broader medical community. In areas that are dominated by Catholic healthcare systems, medical professionals recognize that it could be difficult or impossible to obtain new jobs in non-Catholic healthcare systems, so the threat of being fired is especially acute. Many death-with-dignity activists have been motivated by the experience of watching their own loved ones suffer. One of those is Steph Campbell, a 65-year-old retired manager of software quality assurance in Costa Mesa, California, whose mother died in 2007 after a protracted illness. Catholic healthcare institutions have been important and indispensable components of America’s medical landscape for centuries. But what’s clear is that the ragged interchange between America’s excessively complex healthcare delivery system and the demands for religious exemptions have produced problematic results that answer not to the will of the people or their elected representatives but to religious authorities.